An "Arm" for DIY trawling fashioned from a 2x4 and lashed to a small pleasure craft. The trawl is LADI rather than BabyLegs, but the arm is the same. 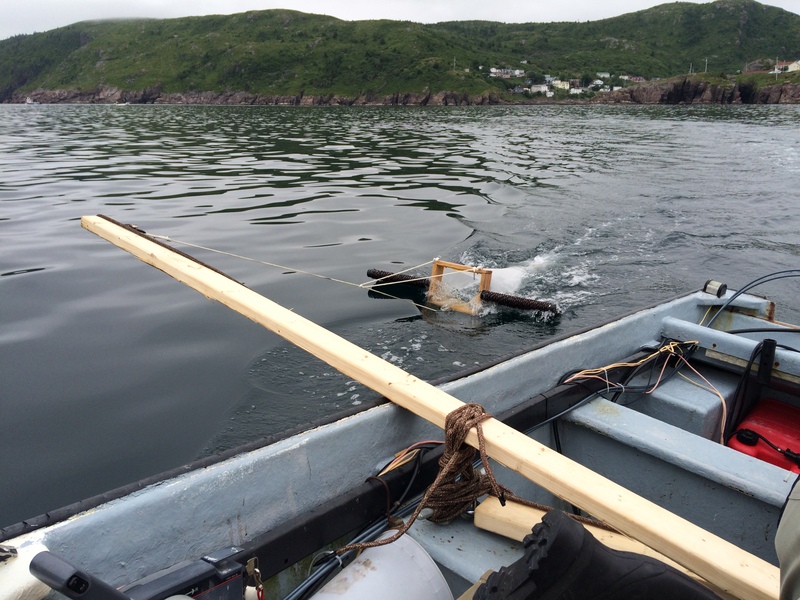 We used a pole and hook to bring the trawl in from the water. The arm keeps the trawl out of the wake of the boat.